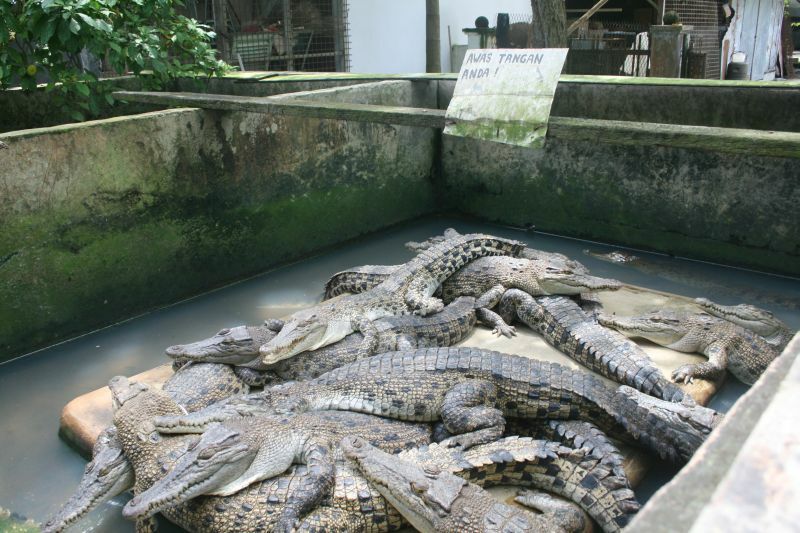 I went to the crocodile farm here in Medan yesterday. I have never been up so close to them, it was a little frightening. They had some in concrete pens and more swimming in a lake. Entrance fee was around 5,000 rupiah. For an extra 50,000 you could feed a duck to them. 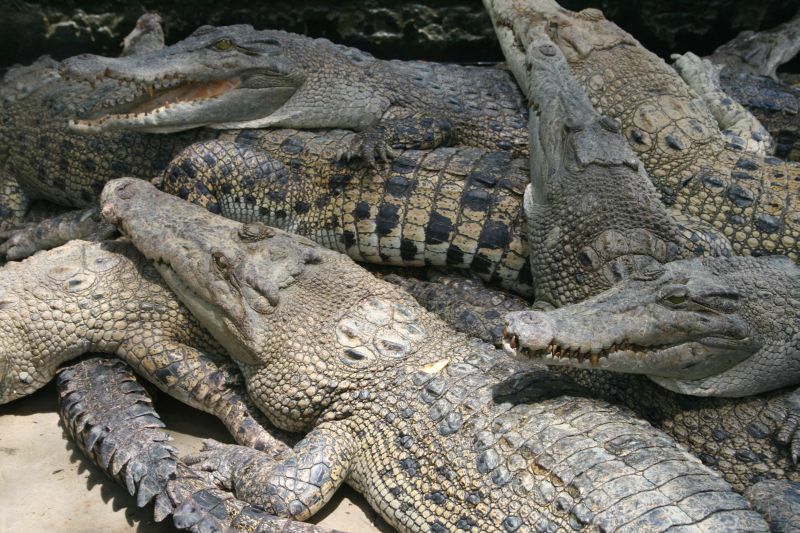 do they sell crocodile bags /skin ? how old the oldest crocs? I didn’t see any skins for sale. The place looks just like an ordinary house with crocodiles out the back. The oldest crocs that I remember were 50 plus year old. 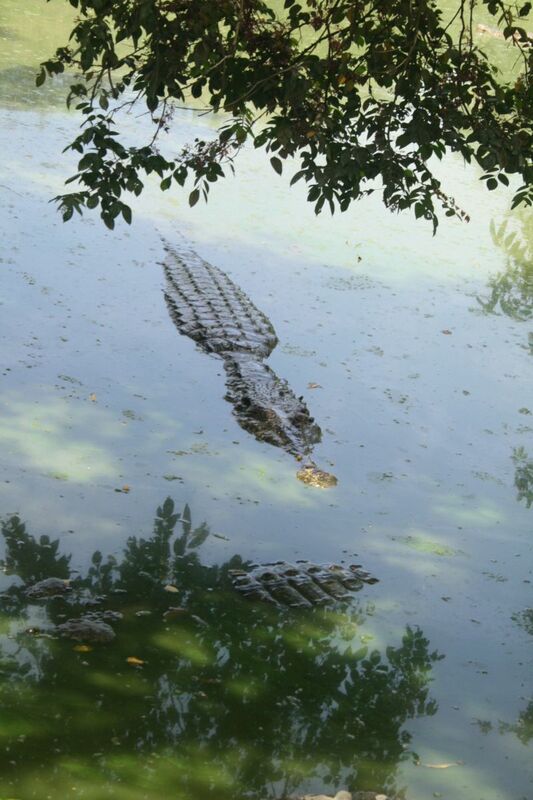 I am not a crocodile expert but it seemed old to me. Pls inform if I can order the crocodile skin, whole hide and finished hide.